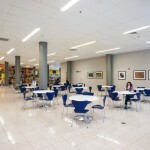 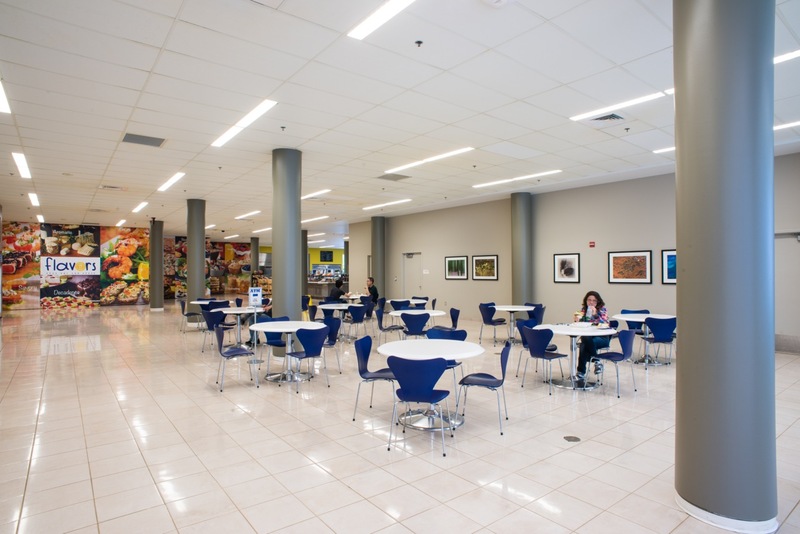 In January 2013, NCRC partner Opus One opened a cafeteria in Building 18. 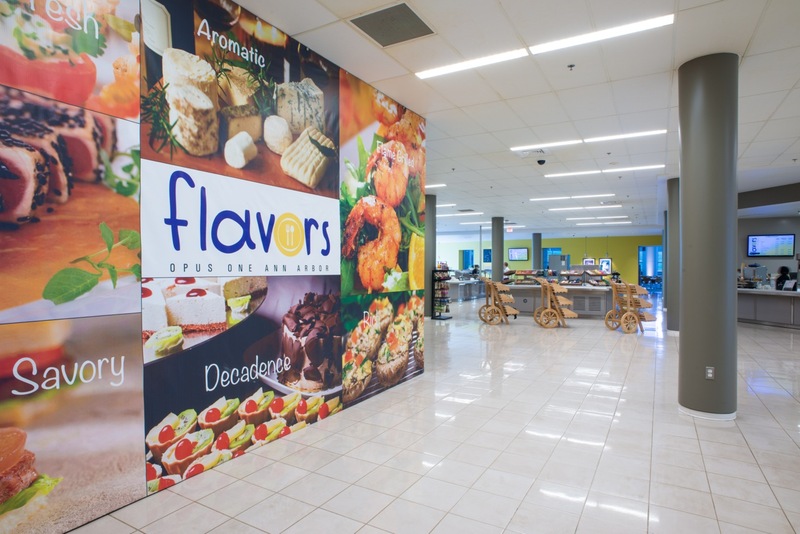 Named “Flavors” through an employee contest, the cafeteria has already started to cater large events in the dining hall, in addition to offering in-facility delivery to NCRC meetings. 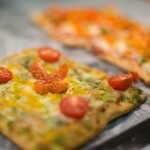 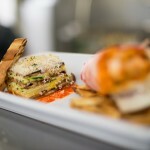 Plans to offer online ordering for delivery, carry-out, and catering are underway. 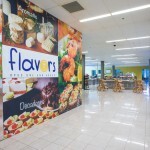 Flavors is a great place to meet for breakfast, lunch, or coffee—its lounge areas offer relaxed space for casual brainstorming. 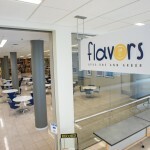 Flavors opens for breakfast at 7:30 am with buttermilk pancakes, fresh eggs, crispy bacon, sausage, hash browns, breakfast wraps, and croissant sandwiches on the menu. 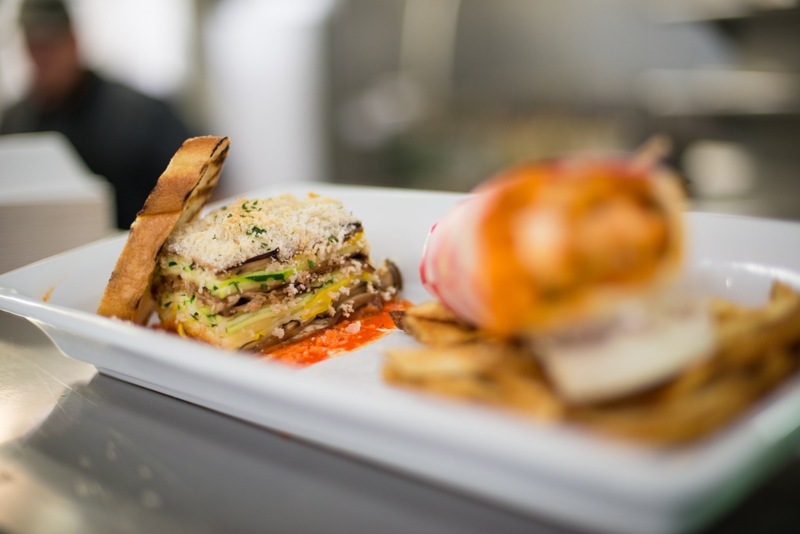 Lunch is served from 11:00 am to 2:00 pm, offering a full salad bar, Panini sandwich bar, and a grill station featuring “The Wolverine”—a 1/3 pound Certified Angus Burger with house made French fries cooked to order. 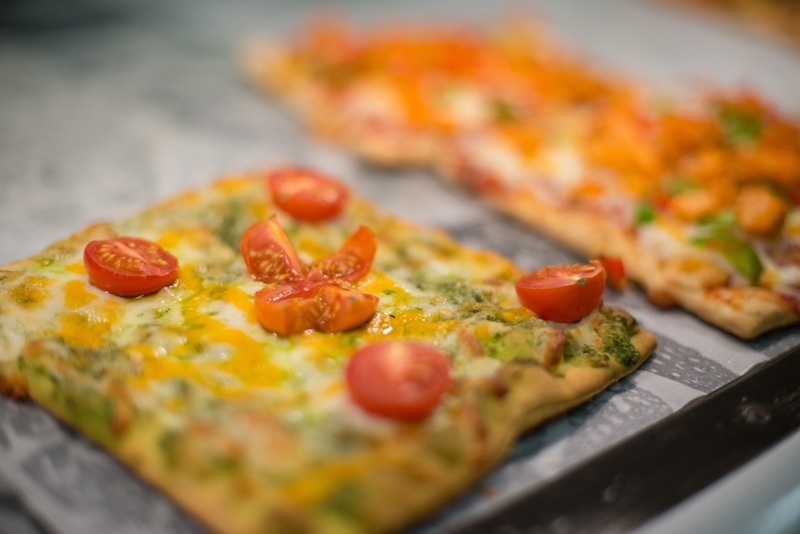 The grill at Flavors also offers a daily “Hot Special”; specials for the week can be found online via a link on the NCRC homepage. 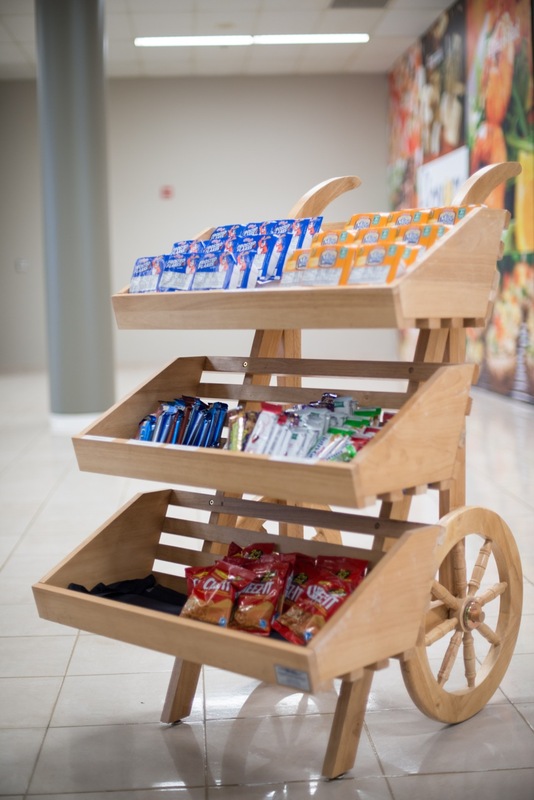 The full service coffee bar now serves Starbucks coffee and coffee drinks as well as fresh breakfast pastries and Opus One cookies, made daily. 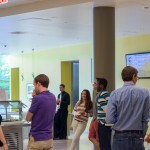 The coffee bar is open Monday through Friday, 7:30am to 5:00pm. 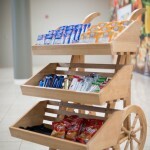 The coffee bar also offers Michigan-made Ray’s Ice Cream of Royal Oak. 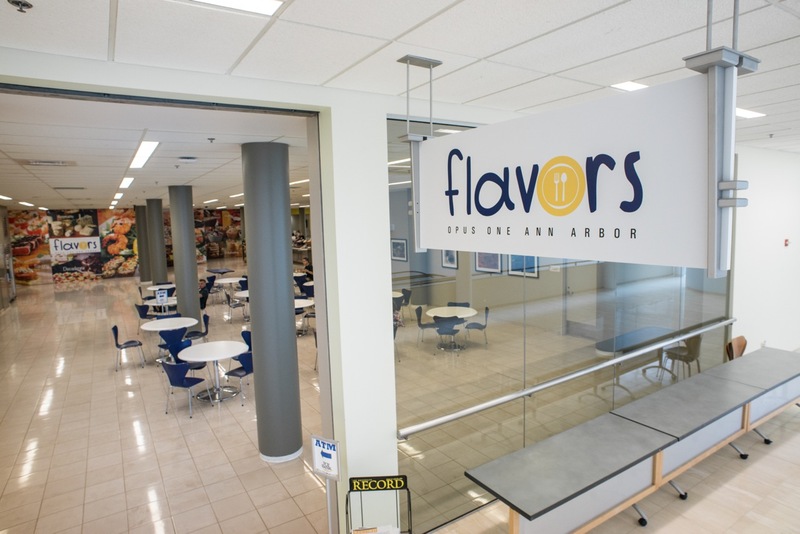 Flavors has proudly joined the University of Michigan’s Composting Program, using eco-friendly compostable plates, to-go containers, cutlery and cold cups, and accepts both credit and debit cards, as well as cash and gift certificates. 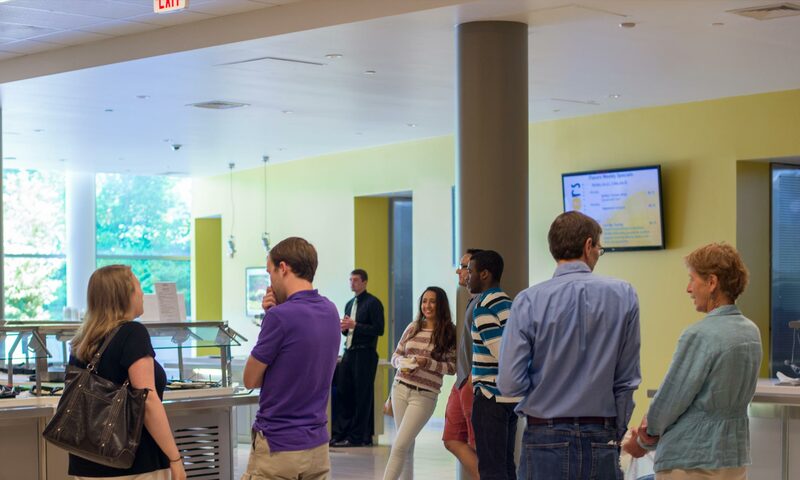 With over 2,200 people currently working at NCRC, and hundreds more to move in over coming years, the convenience and affordability of Opus One dining facilities are an integral part of what makes NCRC teams go.